It’s never easy to think about the potential end of your life and putting together a will and other end of life documents. However, it’s a great idea to incorporate this into your long range planning as it could help to protect your heirs and give you peace of mind about the future. Practically every family has had one experience or another with a person who did not take care to fill out a will. Unfortunately, there are also plenty of celebrity mistakes that indicate the downsides of avoiding a will as well. Recently, Caring.com released a study that 58% of Americans don’t have any planning documents at all, including a living trust or a will. The research also identified that just more than one-third of parents who have children younger than age 18 have these documents which means that there are plenty of young parents who may not be appropriately prepared for unexpected tragedies. The study was conducted by Princeton Research and asked more than 1000 adults about their end of life planning. Although more than 80% of those aged 72 and above have filed those documents. Those at the younger end of the scale have a much lower chance of actually having completed their estate planning. 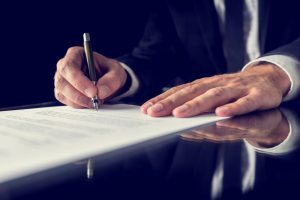 Consulting with a knowledgeable New Jersey Estate planning lawyer is strongly recommended in order to protect your future.